Crafted for excellent performance in cold conditions, the Portwest Thermal Yellow and Blue Grip Gloves A145Y4 use a specially developed crinkle latex finish to provide exceptional grip even in slippery conditions. 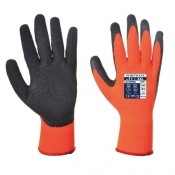 While this makes them ideal for general handling applications, their warm acrylic 7 gauge liner ensures outstanding warmth as it protects from cold environments. 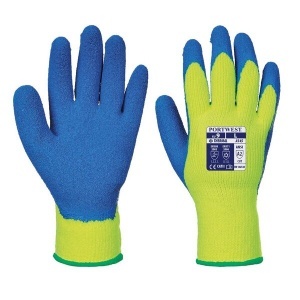 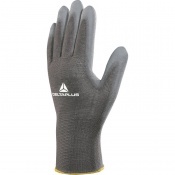 The Portwest Thermal Yellow and Blue Gloves are unique, as they are built specifically for use in cold conditions while undertaking general handling applications. 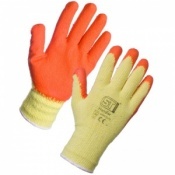 They use a warm acrylic 7 gauge liner to prevent the hands from becoming cold, while their comfortable specially developed crinkle latex finish ensures high grip even in slippery conditions.